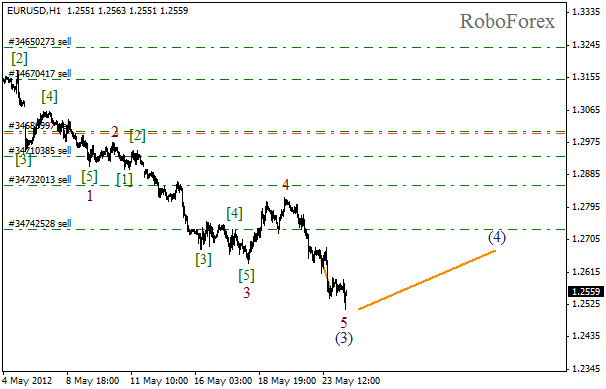 Just as we expected, the market has broken the minimum during the formation of wave 5 of (3) and now is ready to start a more serious correction. 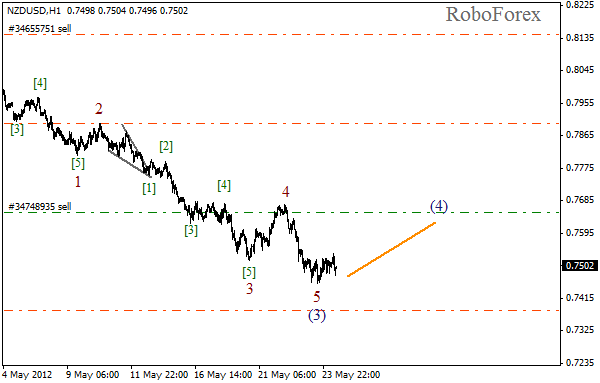 There is a possibility that the price may start wave (4) and consolidate inside it for the next several days. After that we can expect the pair to start moving downwards again. More detailed wave structure is shown on the H1 chart and it implies that wave 5 of (3) may have been completed, unless the price starts forming an extension inside it. The range of wave (4) won’t probably be very wide. Most likely, the market will move sideways. 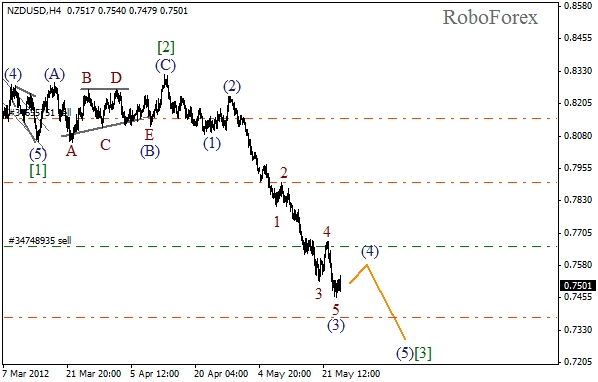 Euro continues falling down fast, now it’s high time for a serious correction, wave (4). However, as long as the trend is quite strong, any possible correction is hypothetic. But if the price does start forming the fourth wave, we’ll have an excellent opportunity to open several more orders. 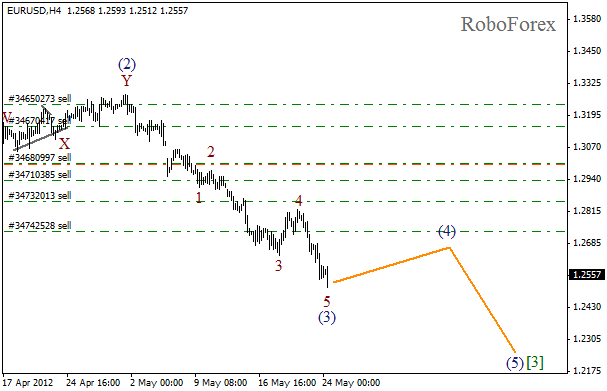 At the H1 chart Euro is moving downwards in wave 5 of (3). The current chart structure implies that the fifth wave may have been already completed, that’s why we can expect the start of the correction in the nearest future. However, the price may continue falling down inside wave 5 in the form of an extension. We recommend you to be keep your eyes open and watch the market carefully.